This painting looks depressing. You might think that I am desperately sad about something. 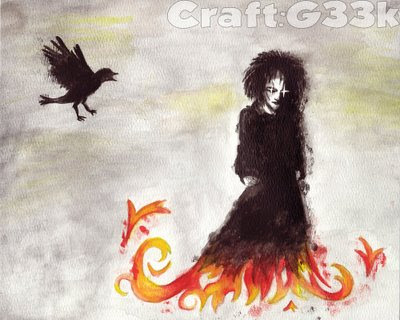 But no, I actually did this a few weeks ago, when I was bored at work, and I thought I might be doing a swap with someone who likes Neil Gaiman's Sandman series. This is a fan painting of Morpheus and Matthew. I think I need to do some more painting while I'm off. I really like these 8x10 water colors. 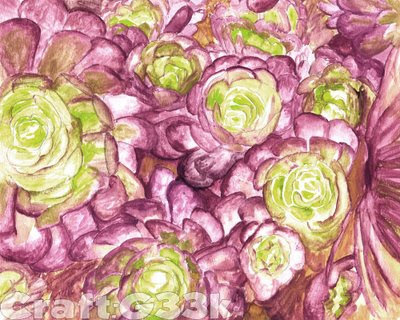 Here's another one I did, some Chicks and Hens at the Huntington Gardens. I also did this at work. I was really bored, I had nothing to do for so long that it's really remarkable that I wasn't laid off sooner. 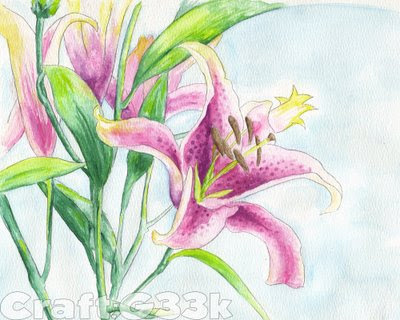 I also did these lilies at work. esp the colors on the cactus!